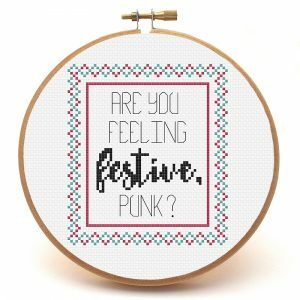 Up to your eyeballs in “festivities” and you’re oh so over it? 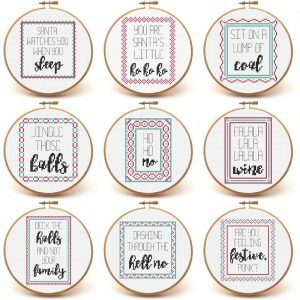 Tell your family and friends you care with the Merry Snarkmas Collection. 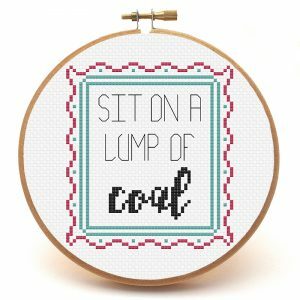 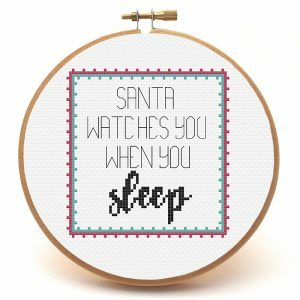 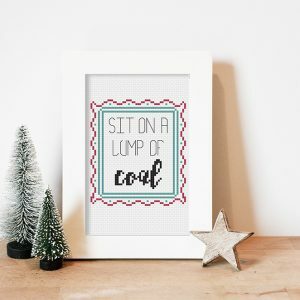 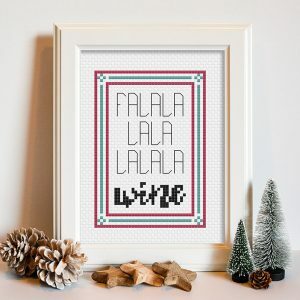 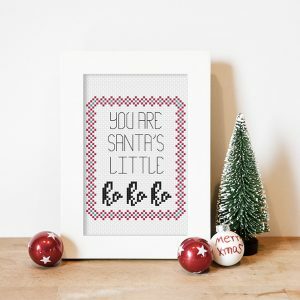 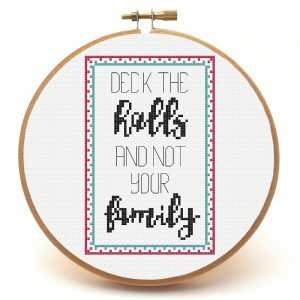 These cross stitch patterns are ideal gifts for your “favourite” family member, or for that special co-worker who’s so hard to buy for. 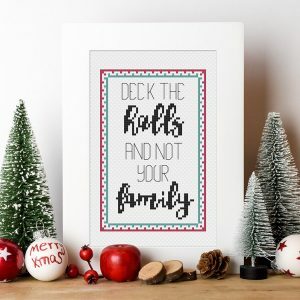 Or simply display them in your own home to show your visitors how you roll during the holiday season. 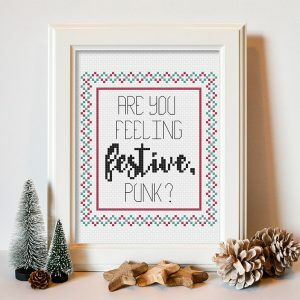 Dashing through the what?! 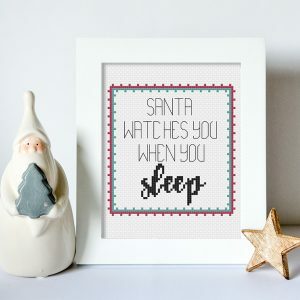 Oh hell, no. 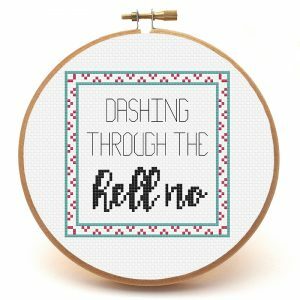 If you go dashing through anything it’ll be the airport on the way to a tropical destination, right?! 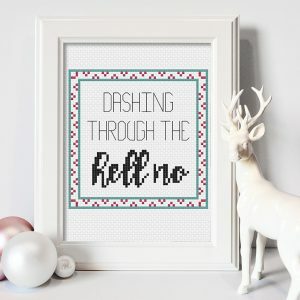 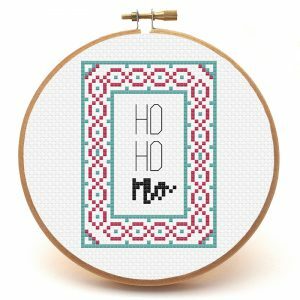 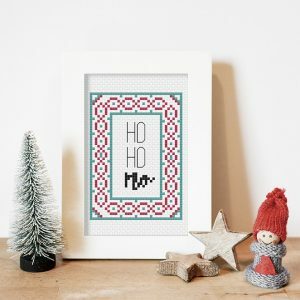 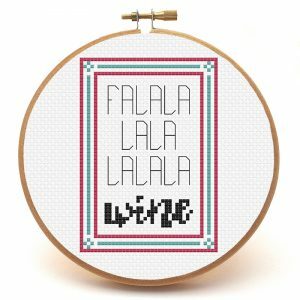 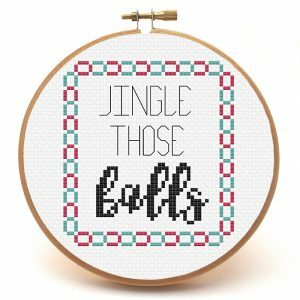 Bring your “love” of a winter wonderland to life with the Dashing Through the Hell No cross stitch pattern.